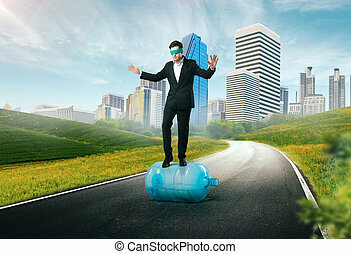 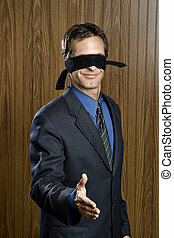 Businessman blindfolded. 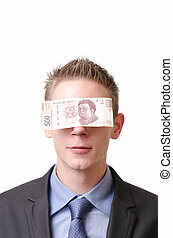 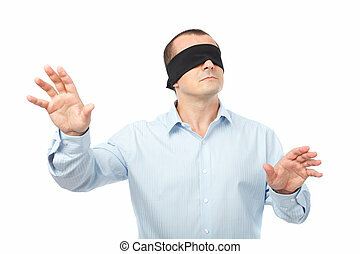 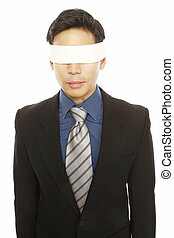 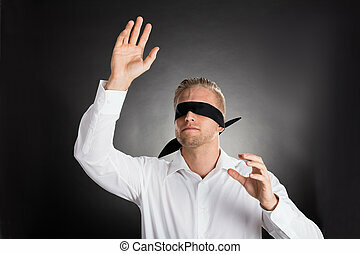 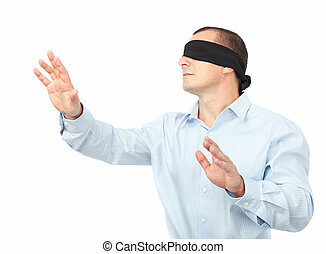 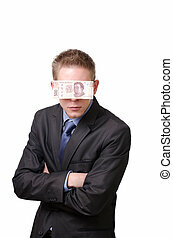 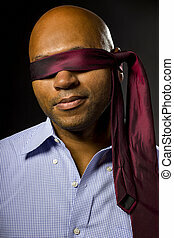 Businessman wearing a blindfold on a dark background with copy space. 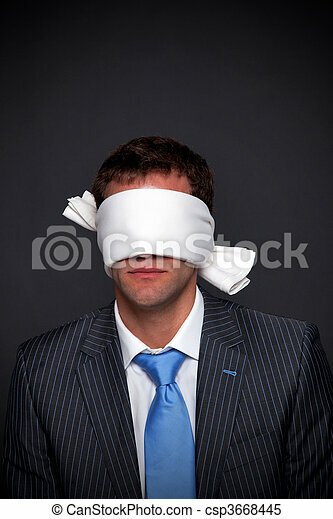 Businessman wearing a blindfold on a dark background with copy space.